Do you like Horizon Online? Share it with your friends. 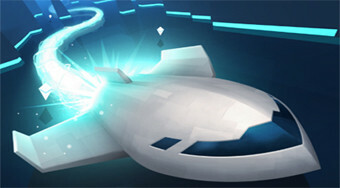 Fly with the futuristic airplane around the playing area, avoid obstacles and collect white gems.